A couple of weeks ago I raced the Xterra World Championships, reported to have been the most difficult in the 23 year history of the race. What a year to choose – massive waves making for a brutal sea swim and a mudfest on the bike and run courses. So I was super surprised and pretty stoked to finish 7th in my age group. 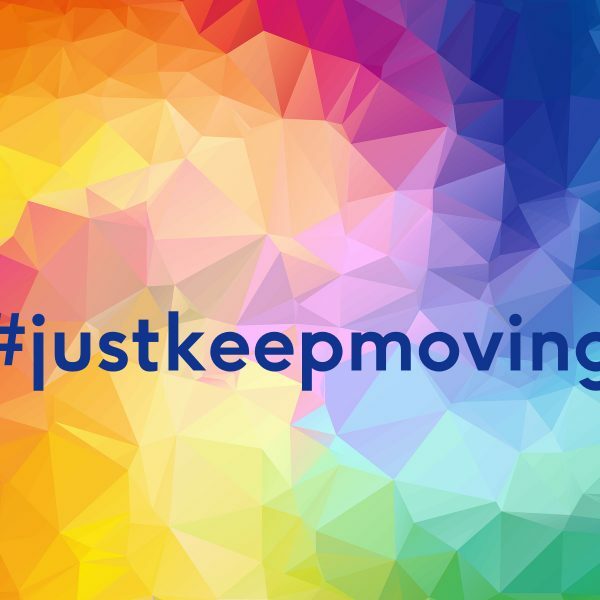 It’s not something that I was planning to write about but after one of the Physiopedia team said they were looking forward to my post race #JustKeepMoving post I decided to share this quite personal experience. Now that I have had time to reflect I am grateful for the lessons learned that day. This was only my 4th triathlon and I felt totally out of place on the start line. The doubts were strong – I have no competitive background and, if I’m going to be completely honest, only a year ago I struggled to swim 25 metres of front crawl without feeling like I was drowning, I was still struggling with running due to knee pain from previous injuries and although I have done a lot of cycling my leg strength still left something to be desired following history of CFS/ME. I didn’t feel like I fitted in with this amazing group of off road triathletes, let alone to be lining up with the best in the world. How was I going to get around this course? I stood quietly at the back, talking to myself – I had done the training, I was as prepared as I possibly could have been, I had been tumbled by surf before and survived, I wasn’t afraid of the mud and I had done many long hard endurance days before. The positive self talk was a winner, surpassed the doubts and kept me calm. One of the last things Tony said to me before we said our goodbyes and I headed out to join around 800 other competitors was this, “remember, slow is fast”. That stuck with me and became one of the mantras for the day. It was all about walking fast, as I pushed my bike uphill through the mud, as I walked up the extremely slippery hills on the run course, my head was quietly doing the talking “slow is fast, slow is fast”. As it turned out slow is fast but you must keep moving. My second mantra is a proven success and a team campaign, so how could I spend the day without it! It is stuck on the handle bars and top tube of my bike, I catch glimpses of it and remember to “just keep moving”. My third mantra came into force on the run when ever I stopped moving forward. If at any time I started walking (and I did a lot) I would simply ask myself “what’s your excuse?”. Sometimes there was a genuine excuse like “this steep hill is way to slippery and I am having to use the trees to simply get up it, give me a break!”. Other times the answer was “I don’t have one” and I started running again. Even at the World Championships there is time for others. The swim was epic, the waves were massive and people were taking brutal smashes (including broken bones) by the shore break. As I came in on the first leg of the swim I was held down by the waves for way too long, surfacing with very little to spare making me feel quite physiologically challenged. I needed time before I went back in for the second swim leg so stood on the shore to recover a bit before going back in for more. I realised there was someone stood to my right absolutely sobbing their heart out, I looked over and realised that she was absolutely terrified to go back in the water. I put my arm around her, gave her a hug and told her that she was strong and should just keep moving. In the moment I don’t think she even noticed I was there and I realised that I should take my own advice and ran back in for another beating by the sea. There were several other moments like this in the race that demonstrated that there is always time for others – acknowledge, listen, smile. This race was so much more than me. The massive effort and smiles from the organisers volunteers, family and friends on the other side of the world that stayed up all night to watch the race live, the Physiopedia team that have supported me through this entire experience, and Tony who sacrificed a year of other adventures to entertain my personal goals. All I can offer you in return (apart from the entertainment dear friends) is to take the lessons that I have learned and translate them into my professional life and the work that I do at Physiopedia. We will just keep moving forward, slowly, with no excuses. Positive self talk will override all doubts to calmly move towards goals. There will always be time for others, to acknowledge, listen and smile.